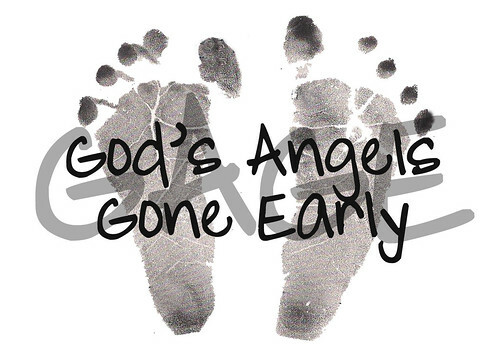 Gage inspired me to start our non-profit organization with the hopes of helping other families who experience the loss of their infant(s). I don't wake up each day excited that I get to make these kits for others because I truly wish there was no reason for them. I wouldn't wish this type of loss/tragedy on my worst enemy. I wake up each day and hope to be the best me I can be for that day. I wake up excited to have a relationship with God and know that Gage is in His care. I wake up thankful each day knowing that one day my time will come and I'm no longer afraid of that day. I welcome the day I get to see my little boy again. Day 23: INSPIRATION. Have your children inspired you in your life? Maybe it is someone you found because of your children that has inspired you. Share about who or what you draw your inspiration from. Living an inspired life is one of the greatest things you could ever do. Waking up feeling excited about my day is something that I never imagined would happen after our son died, but it did. I know today’s subject will not resonate with some people as the thought of waking up feeling inspired to be alive is one of the last things you are feeling. So if you feel you cannot take part today, maybe just have a look at what others are saying. It is my hope that this post might inspire some feelings in your own heart to start searching for some inspiration for your own life.